The term binary is not a new one, but it has made its way into our everyday vocabulary thanks to computer technology. Here is how the word is defined by the Oxford dictionary: “Relating to, composed of, or involving two things.” Much of life is binary: two things paired together in a way that brings focus and clarity. Up or down, east or west, black or white, in or out, active or passive, true or false—they are all binary. The beauty of binary is that there is no wiggle room. Nothing is fuzzy or unclear. In binary computer code, ones are not zeros, and zeros are not ones. This binary nature is what makes the true Gospel clear in contrast to religion, which clouds the issue regarding eternal life. While religion blurs the edges, the binary Gospel brings life into sharp focus. Let’s take a look at a few binary statements made in Scripture about the Gospel. “Very truly I tell you, whoever hears my word and believes him who sent me has eternal life and will not be judged but has crossed over from death to life” (John 5:24). Here you have two binary opposites. You have either passed from death to life and will escape judgment, or you haven’t. “Whoever has the Son has life; whoever does not have the Son of God does not have life” (1 John 5:24). Binary again. You either have the life in the Son or you don’t. “For he has rescued us from the dominion of darkness and brought us into the kingdom of the Son he loves,” (Colossians 1:13). You have been rescued or you haven’t. You are in the Kingdom or you are not. “I tell you the truth, no one can see the kingdom of God unless he is born again” (John 3:3). You are either born again or you are not. “Therefore, since we have been justified through faith, we have peace with God through our Lord Jesus Christ” (Romans 5:1). You either have peace with God or you don’t. Starting to get the picture? “Therefore, there is now no condemnation for those who are in Christ Jesus.” (Romans 8:1). No middle ground here. You are either condemned or you are not. “For the Son of Man came to seek and to save the lost” (Luke 19:10). You are either saved or lost. Zero or one—not both. “For it is by grace you have been saved, through faith—and this is not from yourselves, it is the gift of God—not by works, so that no one can boast” (Ephesians 2:8,9). You are saved by faith or you are not. It is a gift or it is by works. It cannot be both. I could keep going, but I think you see my point. The default mode of the human heart is to blur the lines, and the lines will always be blurred when human effort or good works are involved. Note how fuzzy things get if we were to take any of the above verses and add the haze of religious effort to it. 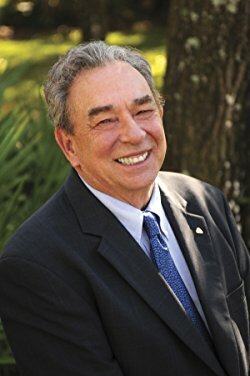 “For it is by grace you have been saved—as long as you go to church and occasionally drop a twenty in the offering plate.” “I tell you the truth, no one can see the kingdom of God—unless he tries real hard to keep the Golden Rule.” Is it grace or good works that saves me? And how hard to I have to try to keep the Golden Rule? I often wonder at the heart of man, that he feels such a need to help God out by adding to the clarity of His Word. When Jesus said “It is finished” at the cross, why do we think we need to add a few finishing touches? Would we try to improve a Rembrandt? And if we did, would it enhance or detract from the masterpiece? The question is rhetorical, but the answer is not: Christ has already done it all on my behalf. What could I possibly add to it? So if you find yourself struggling, just remember this: God did not send His Son to leave us confused about our eternal destiny. You are either condemned or you are not. You’re either in the kingdom, or you’re out of it. You are saved by grace through faith or you are not. You either have the life in the Son, or you don’t. While religion will always cloud the beautiful clarity of the binary gospel, the Scriptures are clear; it’s all of Jesus, or none of Him. IT’S BINARY. Having been around the block a few times, I would like to pass on to the younger generation some wisdom that will make college some of the best years of their lives. There are many intellectual and moral challenges you will face, but I pray this video will smooth the way for a successful trajectory in life. The word conscience means “to know with.” God has designed the human conscience in such a way as to know right paths from wrong paths. Unfortunately, the wrong path is often the most tempting. “For wide is the gate and broad is the road that leads to destruction, and many enter through it” (Matthew 7:13b). So what do we do with this conscience of ours when it presents moral restraints that seem to limit our freedom? The first step is that we suppress the truth because of our unrighteous desires (Romans 1:18). This leads to the hardening of our hearts toward moral truth. Our conscience soon becomes defiled and callous. The result is that issues once recognized as morally wrong are now accepted and promoted. While there are many examples, there is no greater modern moral issue where the redefining of terms has led to such a holocaust as abortion. It is not hard to see the searing of the conscience of an individual — or even a nation — on this issue. The social and personal impact of abortion has been diminished over the years by the introduction of less-offensive language. The abortion industry has leveraged vernacular change with such brilliance that what was once seen as horrific and unthinkable is now promoted as normal, even healthy. It’s a woman’s choice. Sounds good. Who could possibly be opposed to choice? This is our fundamental right and freedom, is it not? However, no one wants to talk about what this choice is about. Is she choosing her clothes for the day? Choosing tea or coffee? Scrambled eggs or fried? Choice seems innocuous enough — until we realize that the stakes are much higher than presented. The word choice is a clever sleight of hand designed to shift our eyes off the real issue — a child’s life. The real choice at hand is whether or not to end the life that God has created in her womb. I have a right to do what I want with my body. I could not agree with this statement more. To decide whether she wants to exercise or not is certainly her right. But in this case, somehow the body inside of her is left out of the equation. Does she have the right to destroy another body for her convenience? Where do her rights intersect with the rights of that other body, being knit together within her? We have already seen abortion advocates cleverly shifting the terms once more, asking such questions as, “Well, when does ‘life’ really begin?” And on and on we go. If we found evidence of even one single-celled organism on Mars, headlines would blatantly tout LIFE FOUND ON MARS! Yet the severed conscience of fallen man would still continue to debate about the the complex miracle of life in a mother’s womb. 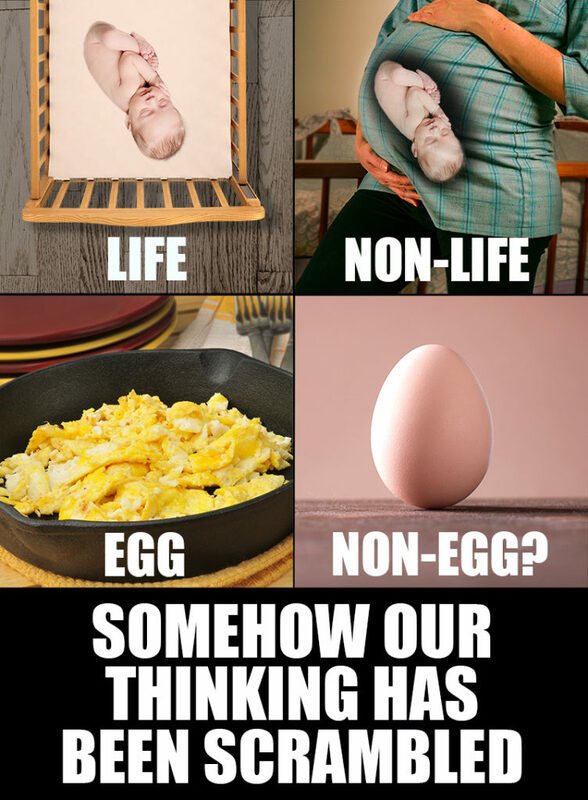 Somehow our thinking has been scrambled. Let me be clear to say that we are not to hate those who oppose us on this issue. We are to simply bring the truth to the surface, present it lovingly, and allow God to work. Society may try to redefine the terms for us, but for those who follow Christ, let us keep our eyes sharp — and our consciences clear — on the real issues at hand. I praise you because I am fearfully and wonderfully made (Psalm 139:14). The practice of baptism as observed in this lesson had its roots in the washings that God instructed the Hebrew people to do for the purpose of purification (Leviticus 16:26, Leviticus 28, Leviticus 22:6, Numbers 19:7 and Numbers 19). Jesus, however, did not need to be purified. Perhaps this is why John, who knew Jesus from childhood, tried to prevent Jesus from being baptized and said to Him, “I have need to be baptized by You, and do You come to me?” (Matthew 3:14). Most theologians agree that at least three things were accomplished by this event: identification, anointing and confirmation. In regard to identification, many believe that Jesus, the One who came not to abolish the Law but to fulfill it (Matthew 5:17), was identifying with John’s call to righteousness – to live according to the ways of God. Some, however, see yet another identification taking place in this event. 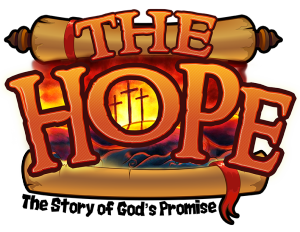 Let’s help the children see this week how Jesus came to win the battle against Satan, sin, and death that Adam had lost. BIG IDEA: Jesus fulfilled the whole law for us. Thank God that he laid down his glory, his power, and his life to become one of us, and fulfill the law for us. What did John call Jesus? Why did he call Jesus that? Think of someone in your neighborhood you can bless this week and do it in Jesus’ name! The first thing to consider when engaging in a matter of this complexity is to admit we do not have the necessary biblical knowledge, since Scripture does not expressly address the subject. None of us possess all the necessary information to make a “thus saith the Lord” declaration over this heated issue. In other words, humility must be at the forefront on a matter of such import. There is no singular answer to multi-complex issues. The refugee problem is cultural, religious, social, economic, and national. Any misstep in the handling of it could prove catastrophic for the future of the world. The Bible is clear on many matters, but not on all matters. Immigration of refugees is one of those debatable subjects. Let’s take a look at why this is such a difficult issue to navigate. Suppose you strongly believe we should allow all refugees into the U.S. The verses you might employ in defense of your position will contain love, compassion and mercy. You will talk about how Jesus loved all people and went after the poor and disenfranchised. You will want to bring in the fact that God is not a respecter of persons. And these are all valid points. However, if you are on the side of those who say don’t let any refugees in, you will select a very different set of verses. Certainly you will want everyone to know that God’s chosen people didn’t just let anyone into their world. In fact, you will point out that God told Israel to wipe out whole nations. So who is right – the let’s bring ‘em in or the let’s keep ‘em out? Which is it? Protect our families from terrorists at the expense of letting innocent people suffer? Or let all of the refugees in, knowing terrorists will enter with them and innocent people will be killed? Who can answer all these questions? Not me. I have some thoughts, but none of which I would die for. What we are facing is the call to show compassion to all and the call to protect our own. These seem to be competing views, yet both are found in Scripture, and we are called to hold to the truth that God never contradicts Himself. Abraham was given the promise of God that he would have a son, but when the son arrived, he was told by God to offer up his son. We now have God’s promise being negated by His command. Now what? Abraham was certain God could not lie, and thus believed the only way out was that God would raise his son from the dead. Perhaps that’s where we are with these two competing commands in Scripture – protect and love. I believe the answer is found in the church humbling itself before the Lord and seeking His guidance on this matter. He may actually give different directions at different times and in different ways. He has certainly done so with Israel and the church in the past. He may do it again. No matter what side you are on, you will be confronted by the other side with endless statistics and verses that prove the rightness of their position. You will no doubt return the favor. At this moment, I am really praying and reading Scripture while also getting advice from people who know far more than I do on the subject. So no, I don’t have a hard and fast stand. When I do, I will put it out there. But here is what I do have a strong view on: the way Christians are treating each other over this issue. A recent post on Facebook says that if you don’t believe in bringing all the refugees in, then you don’t believe the gospel. I have no problem with this person expressing their view, but I do have concerns as to how it was expressed. Using Scripture as a weapon for the purpose of intimidating those who disagree only angers the other side and exacerbates an already volatile situation. Suppose I said if you don’t witness everyday you don’t believe the gospel? How might you react? There are clear guidelines in Scripture as to how we are to communicate. “Let your speech be seasoned with salt” (Colossians 4:6), and “Let no corrupt communication proceed from your mouth but that which ministers grace to the hearer” (Ephesians 4:29). Could it be that such divisive issues become training grounds for believers to learn the value of “Iron sharpening iron” (Proverbs 27:17), or “Speaking the truth in love” (Ephesians 4:15)? Perhaps if we learn to obey what is clear, God will reveal to us what is not clear. One thing that is certain: Obedience leads to greater illumination of his revelation, and unity is the fruit of corporate humility. The marvelous revelation of God’s grace and His redemptive plan through Christ is woven within every book of the Bible. This is our final Take 5 (for now!) We hope these have been encouraging and helpful for those who teach the Word of God. These videos will remain archived here: vimeo.com/channels/minter. The abrupt ending to the book of Jonah forces us to consider God’s great concern for the lost. Take 5 is a series of videos for pastors & teachers of God’s Word. Mike Minter, teaching pastor and founder of Reston Bible Church, shares practical wisdom from over 40 years of ministry experience. 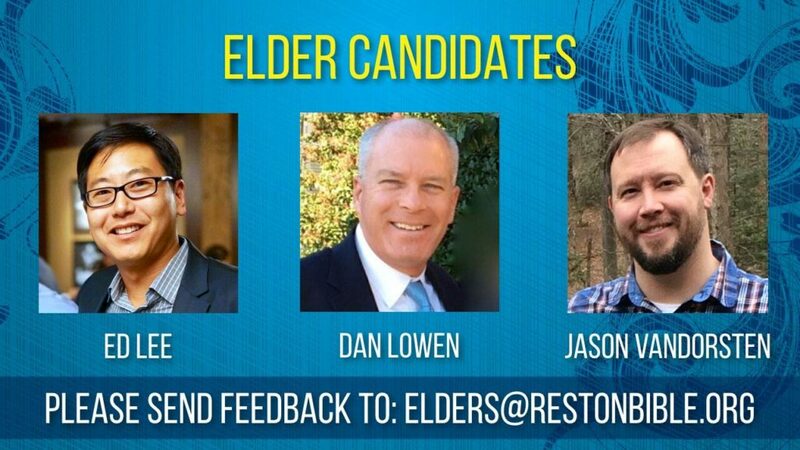 To suggest a topic for Pastor Mike to cover, send an email to questions@restonbible.org. There will be times in life and ministry where it seems that God has “removed” His grace. Do you have the right to be angry if He does?